Subject: History of the U.S. military post, 1867-1889. 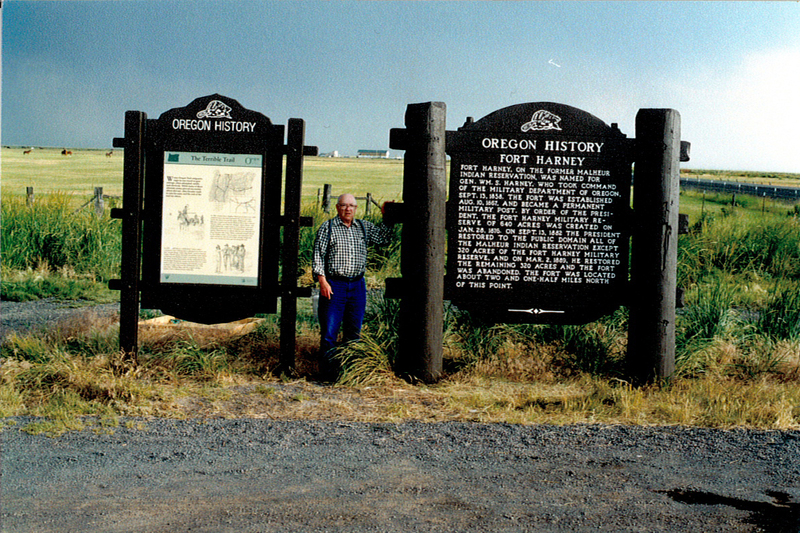 Fort Harney-on the former Malheur Indian Reservation, was named for Gen. Wm. S. Harney. 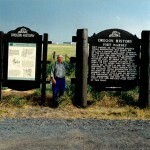 who took command of the Military Department of Oregon, Sept. 13, 1858. The fort was established Aug. 10, 1867, and became a permanent Military Post by order of the President. The Fort Harney Military Reserve of 640 acres was created on Jan. 28, 1876. On Sept. 13, 1882 the President restored to the public domain all of the Malheur Indian Reservation except 320 acres of the Fort Harney Military Reserve. And on Mar. 2, 1889, he restored the remaining 320 acres and the fort was abandoned. The fort was located about two and one-half miles north of this point.